If passing your faith onto your children is of utmost importance to you as it was to me, do everything in your power to stay married to your husband until death do you part. Have you noticed how faith is dwindling in this country as the divorce rate rises? 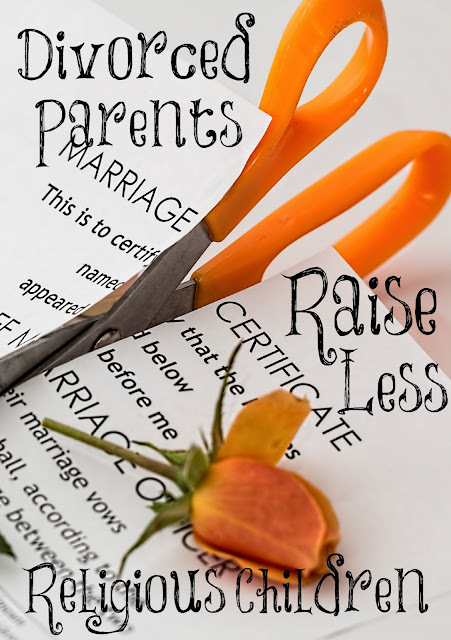 There is a reason for this and it is the same reason God hates divorce: it's consequences are devastating on the children and future generations. When Ken and I got married, we made a pact with each other that divorce would never be in our vocabulary. Marriage was for life for both of us through all the trials we most undoubtedly would go through. Having been home full time with my children and staying committed to Ken was instrumental in raising secure and mentally stable children who love the Lord and it will be for your children too. I am sure all of you know many people who have come from broken homes and the devastation it has caused in their lives. Do you want this for your children? God hates divorce. He is clear about this in His Word. Marriage is defined by Him and is one man and one woman becoming one flesh until death do they part. What God has joined together, let no man tear asunder (Matthew 10:9). One of the purposes of marriage is to create godly offspring. Much has been said about younger Americans tending to shy away from religion in much greater numbers than previous generations, but now, researchers think they may have found the culprit…if you want your children to stay in church, it helps to stay with your spouse. If they see the church fail to keep their parents together, they might not rely on it for other struggles they encounter in life. Luther Seminary professor Andrew Root told The Washington Post, "Everything in a divorce gets divided. Literally everything. … Everyone takes sides. Even religion takes sides. The church gets divided. Dad leaves Mom's faith, or vice versa. Negotiating those worlds becomes difficult." Marriage and families are what great cultures are built upon. As marriages crumble so do societies and you can see this happening in ours. Gangs are becoming more and more prevalent because of the lack of a father in these young men's lives. They are looking for a family to be a part of and it is the wrong family. Divorce causes so much pain and bitterness in children since many times they believe it was their fault that their parents divorced and this often causes them to grow up to be angry adults. Most times, this anger is directed at God (atheists are just people who are mad at God for how He's running the world) and they don't want to have anything to do with a God that would allow the break up of their family. Children want and need a mother and father in the same home. Fight for your marriage, women. Fight for the souls of your husband, if he is not a believer, and for the souls of your children. I have seen women who are married to unbelievers raise godly children because they stayed with their unbelieving husband and this gave security to the children. The believing mothers sanctified the home with their presence (1 Corinthians 7:14) since Jesus lives inside of them. The children were modeled a godly mother and wanted what she had. Many women come to me or to the chat room and have been told by almost every one in their life to divorce their husband. They won’t hear that message from me or those in the chat room. We encourage women to stay married, win their husband without a word by being in subjection to them with godly behavior, and give their children the security of a home united and faith in Christ being displayed for all to see. "No One That is Submissive is Happy"
Must You Honor Sinful Parents? Carry Sunshine Wherever You Go! 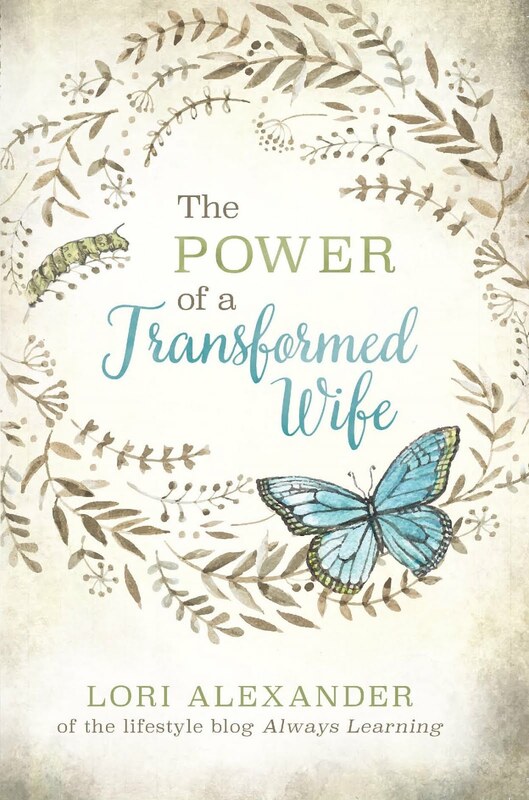 Does Your Godliness Turn Your Husband Off? Is It a Sin to Not Have Children If You Can? Who Can Understand the Depths of the Sea? Men are to Blame for Everything! Do You Sexually Harass Men By the Way You Dress?